Hi everyone! I hope you've all had a great weekend. It's been freezing here so apart from a quick errand or two, I basically spent mine finally enjoying some downtime after a busy work week. 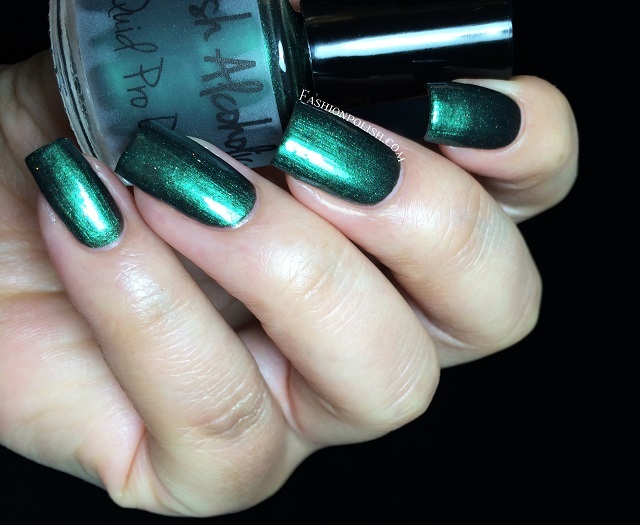 Quid Pro Quo is a forest green shimmer with a few copper micro shimmers in a blackened base. It's a deep and beautiful color and the copper particles add a nice extra sparkle to it. Formula was on the sheer side, requiring 3 thin coats for complete coverage, but I didn't experience any issues during application. 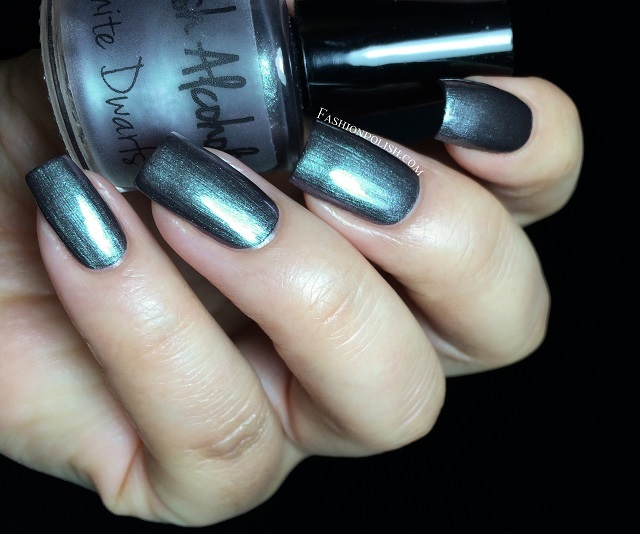 White Dwarfs is a smooth gunmetal grey shimmer infused with subtle green to purple color shifting particles, a true chameleon : the green shimmer is more visible in the sunlight or under direct lighting while the grey base will predominate in the shade. Nice application and a true 2 coater here. 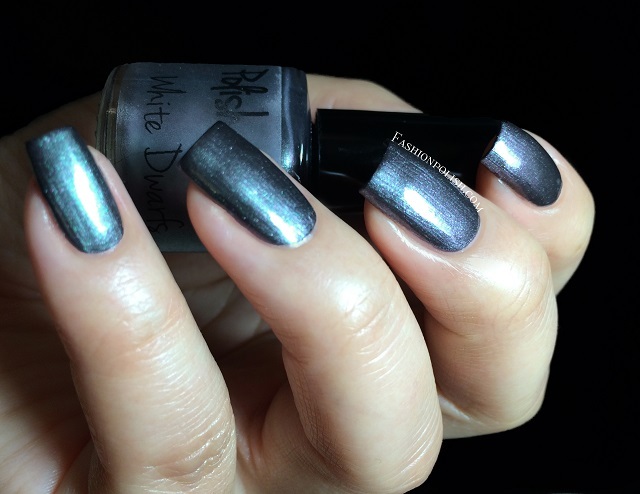 Frozen Rain is a flakie topper made of thin, almost translucent white flakies. Original and very delicate, I can imagine it looking great on lots of colors. I decided to use it over White Dwarfs here and used 2 coats plus topcoat. 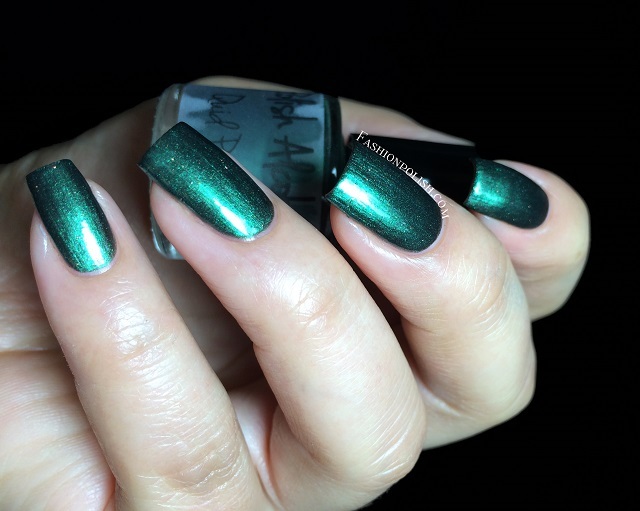 This is a nice first experience with Polish Alcoholic, I really like all 3 colors I got to try but if I should pick just one, it would be Quid Pro Quo, it's just perfect for this time of the year! What do you think about these? Do you own any Polish Alcoholic? 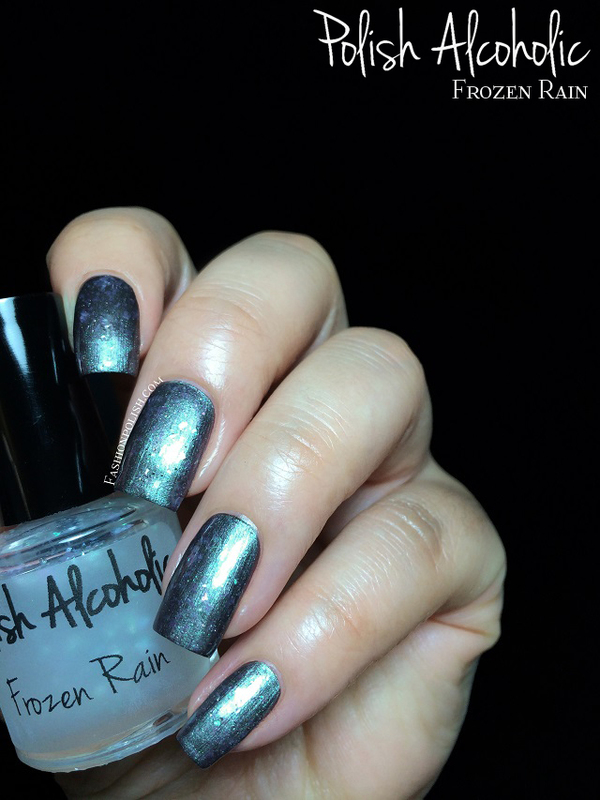 Polish Alcoholic is a Dutch brand, products retail for approximately $10 each and can be purchased directly on Etsy.